Her work is known and recognised throughout the world. Her original interest was in medicine, not teaching. She was the first woman to graduate from the University of Rome Medical School, and only became interested in the particular needs of children when she worked as a doctor treating young children. She became so involved with the subject of education that she went back to University for further study. She began her work with ‘normal’ children in 1907, when she was invited to organise schools in a reconstructed area of San Lorenz in Italy. Due to her medical background, she approached education not as a philosopher or educator in the usual sense, but as a scientist. She used the classroom as a laboratory for observing children, and for testing and shaping their ideas about the best way of helping them achieve their full potential. 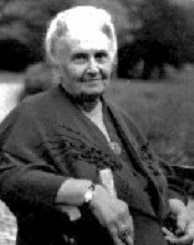 Maria Montessori became interested in the ‘idiot’ children. The end result was that she became Director of a school for ‘hopelessly deficient’ children. Later, some of these children competed successfully in public examinations! Maria wondered what was happening to ‘normal’ children that her pupils equalled them. This has led to an open-minded approach focusing entirely on the children with whom it is being used.